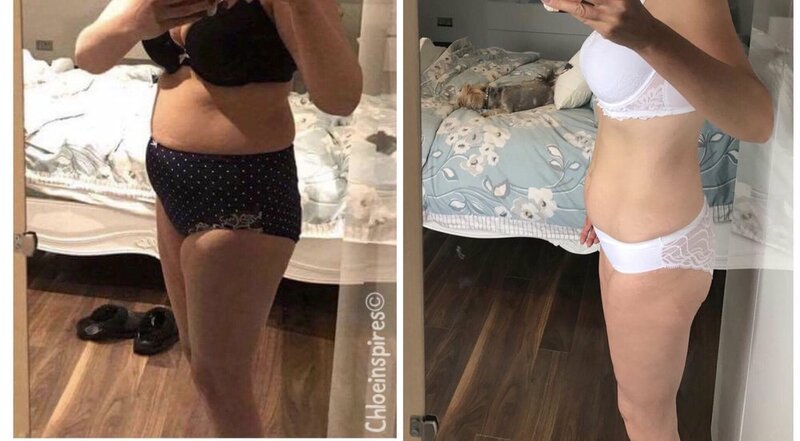 “With Chloe it isn’t just a 12 week programme, it’s more like 12 weeks of learning and support, she educates us how to work out our foods so that we have the power to continue for years to come. “I never had regular periods before I met Chloe, I would get one every 3/4 months, even though was overweight. My doctor used to give me medication and never looked at the CAUSE - she assumed because I was overweight i was eating the right foods. Since working with Chloe I’ve realised I wasn’t eating the right foods (and more food than before), and now my periods are back to normal and regular and I’m off the medication! I am so thrilled as I’m still loosing weight. Chloe is absolutely amazing and I speak very highly of her, she have educated so much about food. weight loss and the fact that I’m eating healthy and enjoying cooking from scratch. I’m eating more, and I’m full all the time. have changed my life! Finally the wish of getting into my old clothes. Chloe had been a massive crutch of support in the transition, I think when you have someone to answer to and someone who checks up on you and wants to see you succeed in your journey is so lovely to have and definitely keeps you on track.